The ultimate insider's guide to America's latest fitness craze-- mall walking! 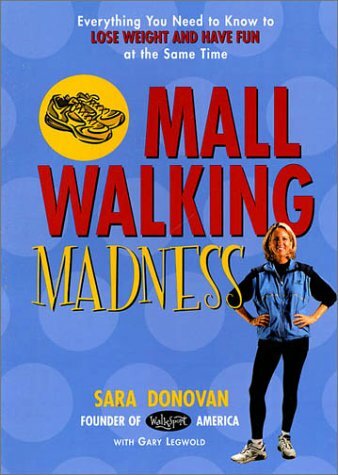 Join Sara Donovan, founder and president of WalkSport America, the country's largest mall walking group, and learn how you can become a part of the latest grassroots fitness movement that's sweeping the nation-- mall walking! Discover the insider tricks to help you lose weight quickly and easily, ease chronic pain and disability, scout out delicious freebies, and make dozens of new friends-- all while tracking the latest sales in the dazzling clean comfort of a mall near you. Let Sara show you all the ins and outs of finding the perfect mall, the most comfortable walking shoes, even the best buddy who can make you laugh and help you meet your goals at the same time. Watch the pounds melt off with Sara's 8-week quick-start WalkSport Fit Forever Program, a unique plan that incorporates walking and nutrition and gets results for everyone from pregnant moms to (great)grandparents. Best of all, meet inspiring people from all over America and hear how they turned their social-hour workouts into life-changing fun!